Draft: 2011, Washington Nationals, 5th rd. Engaged to Madison ... Twitter: @MattSkole16 … Instagram: @m_skole ... Attended Georgia Tech, where he hit 47 homers during his three-year career … his brother, Jake, was the Rangers' firstround selection (No. 15 overall) in the 2010 draft and played defensive back at Georgia ... Graduated in 2008 from Blessed Trinity High School in Roswell, Ga. … was named the Fulton County Player of the Year as a senior by the Atlanta Journal-Constitution ... His father, Michael, played collegiately at Georgia Southern University … grandfather, Tom, played professionally in the St. Louis Browns system in 1951-52. Spent all but seven days of the season with Class AAA Charlotte … made his major-league debut with the Sox in May ... Made four starts with the White Sox, including three as the designated hitter and one at first base ... Welcome to the Show: His contract was purchased from Charlotte on 5/28 … made his major-league debut that afternoon at Cleveland as the starting first baseman … went 2-3 with a home run, RBI and two runs scored … singled off Adam Plutko in the second for his first career hit and homered off Plutko in the fourth for his first major-league home run … became the sixth player in Sox history to homer in his major-league debut, joining Miguel Olivo (9/15/2002 at Yankees), Joe Borchard (9/2/2002 at Toronto), Carlos Lee (5/7/1999 vs. Oakland), Craig Wilson (9/5/1998 vs. Yankees) and Russ Morman (8/31/1986 vs. Detroit) ... Was optioned back to the Knights on 6/4 for the remainder of the season … was outrighted on 9/4 ... Ranked among the Charlotte leaders in numerous categories, including total bases (1st, 174), walks (1st, 61), games (2nd, 121), doubles (2nd, 28), home runs (2nd, 14) and RBI (2nd, 44) ... Hit 10 of his home runs off right-handers and 11 at home ... Appeared in 63 games (61 starts) at first base, 41 as the designated hitter and 18 (17) at third base ... Recorded multihomer games on 5/22 vs. Norfolk and 6/28 vs. Gwinnett ... Hit safely in 10 consecutive games from 6/14-24, going 14-37 (.378) with one home run and six RBI. Was limited by injuries to 64 games with Class AAA Syracuse ... Was on the disabled list from 5/18-31 and 6/12-29 with a strained left quad and from 7/1-8/17 with a strained right oblique ... Entered the season rated by Baseball America as the Best Power Hitter in the Washington organization. For the second season in a row, led Washington's Minor League system in home runs (24)...Also paced the system in RBI (78)...Hit .244 with a .337 on-base percentage and a .437 slugging percentage in 140 games for Triple-A Syracuse... Led the International League in games played (140) while ranking among hitters in RBI (2nd, 78), walks (T2nd, 66), home runs (3rd, 24) and runs scored (4th, 67)...Earned a 2016 Rawlings Minor League Gold Glove Award at first base... Posted a .999 fielding percentage...Made only one error in 874 chances at first base...He also appeared in 41 games at third base, making just two errors in 100 chances...Following the season, hit .237 with five doubles, three homers, 10 RBI and 15 runs scored in 37 games with Naranjeros de Hermosillo of the Mexican Winter League. Led Washington's minor-league system with home runs and ranked second with 82 RBI between Class AA Harrisburg and Class AAA Syracuse … was named Eastern League Player of the Week for 6/29-7/5 … was promoted to Syracuse on 7/25. Played in only 2 games with Harrisburg of the Double-A Eastern League after injuring left elbow in collision at first base on April 5 vs. Bowie...underwent successful UCLR sugery performed by Dr. Wiemi Dououguih on April 17 in DC...spent majority of '13 rehabbing, but retured to action with Mesa in the Arizona Fall League...hit .184 (9-for-49) with a double, triple, 3 homers, 7 RBI, 15 walks (tied 6th in AFL) and a .375 OBP in 15 AFL contests...in 14 Grapefruit League contests, posted a .406 OBP (6-for-24, 2 B, 5 RBI, 7 walks) in first big league camp with Washington. Combined to hit .291 with 28 doubles, 27 home runs, 104 RBI, 99 walks and 84 runs scored in 120 games for Hagerstown of the Single-A South Atlantic League and Potomac of the Single-A Carolina League...led the Nationals' system in home runs, while ranking 2nd in RBI...paced the South Atlantic League in home runs (27), OBP (.438), slugging percentage (.574) and walks (94), while ranking 2nd in RBI (92)...following the season, in 17 games with Salt River in the prestigious Arizona Fall League, batted .305 with 4 doubles, 3 home runs, 15 RBI and 13 walks...earned a spot on the AFL's All Prospect Team. Hit .290 and tallied 29 extra-base hits in just 72 games with Auburn of the Short-season Single-A New York-Penn League in professional debut...led the NY-P League with 48 RBI to help Auburn reach the championship series...also ranked among the circuit's leaders in doubles (tied for first, 23), extra-base hits (tied 2nd), hits (tied 3rd, 79), games (tied 3rd, 72), total bases (4th, 119) and walks (tied 4th, 42). 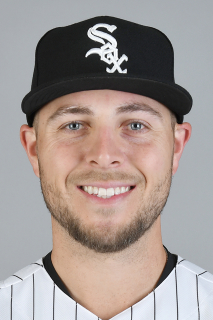 January 22, 2019 1B Matt Skole assigned to Charlotte Knights. November 17, 2018 Chicago White Sox signed free agent 1B Matt Skole to a minor league contract and invited him to spring training. November 2, 2018 1B Matt Skole elected free agency. September 4, 2018 Chicago White Sox sent 1B Matt Skole outright to Charlotte Knights. June 4, 2018 Chicago White Sox optioned 1B Matt Skole to Charlotte Knights. May 28, 2018 Chicago White Sox selected the contract of Matt Skole from Charlotte Knights. March 26, 2018 1B Matt Skole assigned to Charlotte Knights. January 22, 2018 Chicago White Sox signed free agent 1B Matt Skole to a minor league contract and invited him to spring training. November 6, 2017 1B Matt Skole elected free agency. August 17, 2017 Syracuse Chiefs activated 1B Matt Skole from the 7-day disabled list. August 8, 2017 sent 1B Matt Skole on a rehab assignment to Auburn Doubledays. August 3, 2017 Washington Nationals signed free agent 1B Matt Skole to a minor league contract. August 3, 2017 1B Matt Skole assigned to Syracuse Chiefs. July 31, 2017 Washington Nationals released 1B Matt Skole. July 29, 2017 Washington Nationals designated 1B Matt Skole for assignment. July 2, 2017 Syracuse Chiefs placed 1B Matt Skole on the 7-day disabled list. June 26, 2017 Syracuse Chiefs sent 1B Matt Skole on a rehab assignment to Auburn Doubledays. June 13, 2017 Syracuse Chiefs activated 1B Matt Skole. June 13, 2017 Syracuse Chiefs placed 1B Matt Skole on the 7-day disabled list retroactive to June 12, 2017. May 31, 2017 Syracuse Chiefs activated 1B Matt Skole from the 7-day disabled list. May 18, 2017 Syracuse Chiefs placed 1B Matt Skole on the 7-day disabled list. March 13, 2017 Washington Nationals optioned 1B Matt Skole to Syracuse Chiefs. November 22, 2016 Naranjeros de Hermosillo placed 1B Matt Skole on the reserve list. November 18, 2016 Washington Nationals selected the contract of Matt Skole from Syracuse Chiefs. October 11, 2016 1B Matt Skole assigned to Naranjeros de Hermosillo. February 15, 2016 Washington Nationals invited non-roster 3B Matt Skole to spring training. July 25, 2015 1B Matt Skole assigned to Syracuse Chiefs from Harrisburg Senators. April 7, 2015 3B Matt Skole assigned to Harrisburg Senators from Syracuse Chiefs. February 12, 2015 Washington Nationals invited non-roster 3B Matt Skole to spring training. September 2, 2014 3B Matt Skole assigned to Syracuse Chiefs from Harrisburg Senators. January 24, 2014 Washington Nationals invited non-roster 3B Matt Skole to spring training. September 16, 2013 Harrisburg Senators activated 3B Matt Skole from the 7-day disabled list. March 29, 2013 3B Matt Skole assigned to Harrisburg Senators from Potomac Nationals. January 15, 2013 Washington Nationals invited non-roster 3B Matt Skole to spring training. September 11, 2012 1B Matt Skole assigned to Salt River Rafters. August 14, 2012 Matt Skole assigned to Potomac Nationals from Hagerstown Suns. July 23, 2012 Matt Skole roster status changed by Hagerstown Suns. July 10, 2012 Hagerstown Suns placed 3B Matt Skole on the 7-day disabled list. April 4, 2012 3B Matt Skole assigned to Hagerstown Suns from Auburn Doubledays. June 17, 2011 Matt Skole assigned to Auburn Doubledays from Washington Nationals. June 16, 2011 Washington Nationals signed 3B Matt Skole.